According to the latest Lord Ashcroft polling of marginal constituencies across the UK, the Green Party are set to hold onto their only current seat, Brighton Pavilion. The polling puts the Green Party ten points ahead of Labour (38 to Labour’s 28%). Both parties see the Brighton Pavilion seat as their number one target for the South East of England. Significantly the polling finds the Green Party picking up a huge 44% of 2010 Lib Dem voters. Labour in contrast picks up just 21% (with the Lib Dems picking up just 13%). This is opposite of the national picture which sees Labour picking up roughly double the Green Party of former Lib Dem voters. Equally, the polling suggests Labour have been unable to plug the hole that saw so many former Labour voters turn to the Green Party in Brighton. The polling found that 27% of 2010 Labour voters were planning on backing the Greens. This is compared to about 4% nationally suggesting that either the Greens/Labour are doing something locally that is swaying voters and/or that Labour voters do switch to the Greens when they think the Greens have a chance of winning. Labour however, to their credit, do appear to be matching the Greens in their campaigning efforts with about 1 in 4 of those polled saying that had heard from Greens and/or Labour in recent weeks. 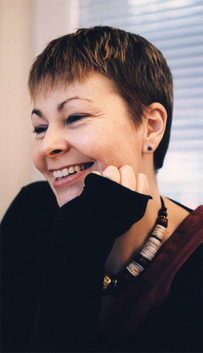 It will be a bitterly battled fight but at the moment it looks like the Greens are on course to return their only MP, Caroline Lucas. Read more on the marginal polling here.